Honeybourne’s is a newly formed gift shop and homeware brand with a flagship store in South East London. RYE has recently been engaged to develop the company’s visual identity including, a new logo, signage, packaging, and website design. Key elements of the new visual identity include the company’s signature teal colour coupled with neutral tones that complement the materiality of the shop’s interiors. 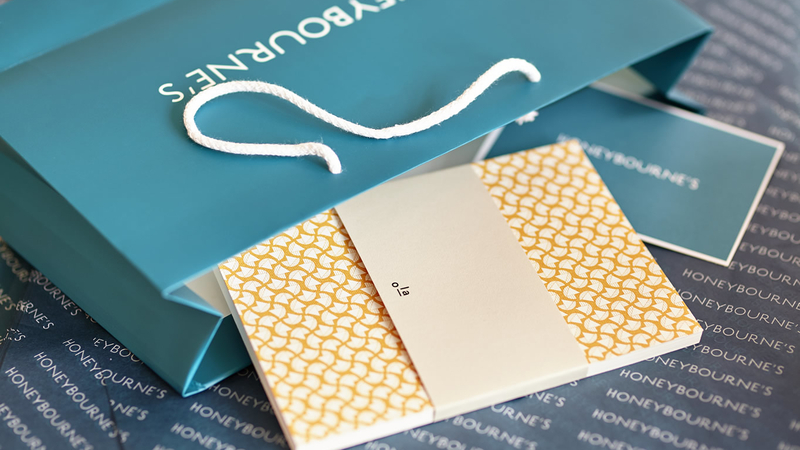 Concurrently RYE was also commissioned to complete the interior design of Honeybourne’s inaugural store which contributed to creation of a holistic company identity.